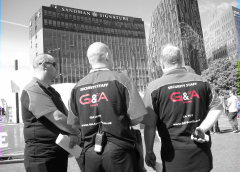 G&A Security are a leading Security Guard provider based in the North East and provide our services throughout the UK. 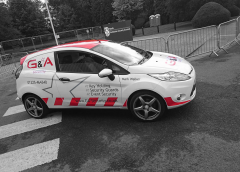 We are a well established security company which are capable of offering a wide range of security guard services across the North East including Middlesbrough, Durham and Newcastle in addition to providing services throughout the UK. We provide experienced static and manned security services to a vast range of industries including construction sites, industrial warehouses, retail facilities and reception security to name just a few. We achieve our high standards by implementing our Guard Tour System that tracks all movements and actions of our security guards that protects the welfare of our staff and our customers facility. If you require a security guard either temporary or long term, do not hesitate to get in touch to discuss how we can fulfil your requirements.